Oh. My. Goodness. This is made of duct tape. DUCT TAPE! Definitely my most favourite of the favourite things this week! I’ve always been intrigued by coloured duct tape and wondered what I can use them for — now I know! Wouldn’t this make an awesome statement brooch? Or an embellishment for a statement necklace? Or a statement belt buckle? Doesn’t matter what it’s being used for, it will make a statement for sure. Duct tape! Brilliant idea and tutorial by Howjoyful. The inner critic says, “aren’t you too old for memory games?” To which I responded, “never! Especially not with these popsicle printouts.” Delightful popsicle memory game for download at Eat Drink Chic. Lovely miniature twig chairs for miniature woodland friends :D Wouldn’t they look nice with a tiny twig table in a terrarium or a potted plant? How‐to on One Inch World. Isn’t this brilliant? Using TB tube to store cables and wires. By berserk on Instructables. 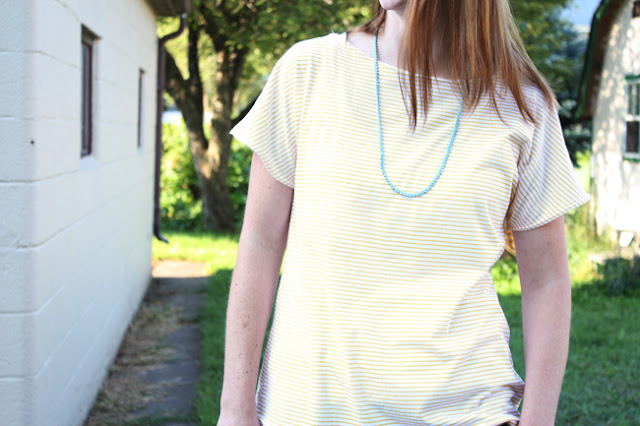 A lovely quick tee tutorial by Noodlehead. No sleeve‐setting, but with the appearance of sleeves! Love the simplicity of its construction and style. A plush and a clever storage idea, all in one pajama eater! 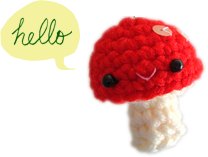 It’s not a free pattern but for a small fee it’s a great way to get a new project going and support a fellow crafter. From Sew Fearless. From the Martha archive, a stylish scarf that’s kind of cozy but not too warm for fall. It’s a good thing indeed! 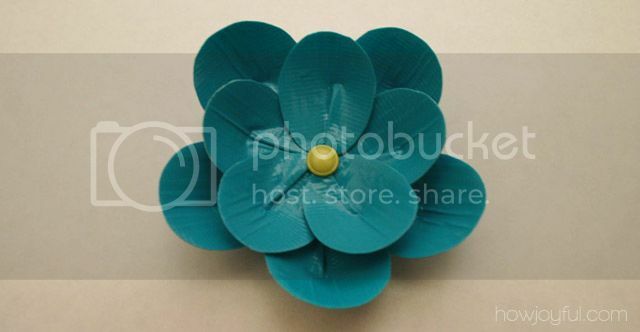 I love felt flowers. This one has a bit of sculptural quality to it. It would make such a nice brooch! (Yes, I do like brooches very much.) From Inkredible Stamping. Peanut butter and jelly that’s fit for a party! :D And in case of food allergies, perhaps cream cheese and jam would make a pretty good alternative? From Shine. Sometimes the simplest ideas are the best. 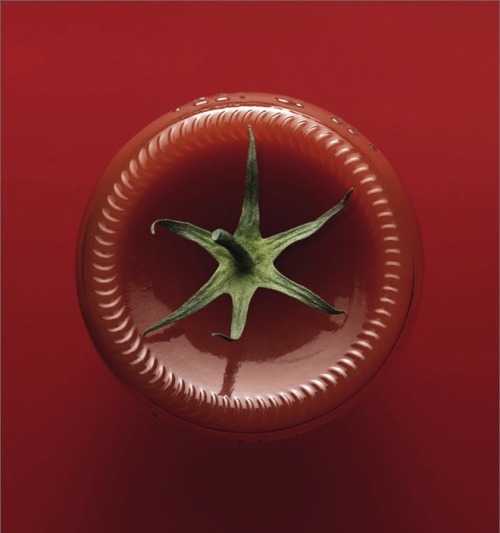 Heinz ketchup ad by McCann Erickson, via Inspire Me Now. And that’s a wrap for this week! :D Have a great weekend, everyone!